Sharpsburg Youth Baseball (SYB) strives to create a positive atmosphere where children learn the game of baseball, develop values and have fun. All members of the SYB community have a role to play in creating this positive atmosphere. By giving careful thought to these codes of conduct and putting effort into living up to them, you can help create this positive atmosphere. Please read the Parent’s Code of Conduct below and review the Player’s Code of Conduct with your child. All players, coaches, parents and spectators will be held to the Code of Conduct below. NOT use abusive or profane language. NOT taunt or humiliate any other player. NOT question an umpire’s call. NOT use any tobacco products or e-cigarettes in the dugout, playing field or park. Display and instill in their players the principals of good sportsmanship and team play. Do their best to provide the players a positive experience. Ensure that winning and/or losing teams do so in a manner, which exhibits respect and good sportsmanship. Treat all players, parents, spectators and league officials with respect. Provide instruction in a manner that is constructive and supportive. 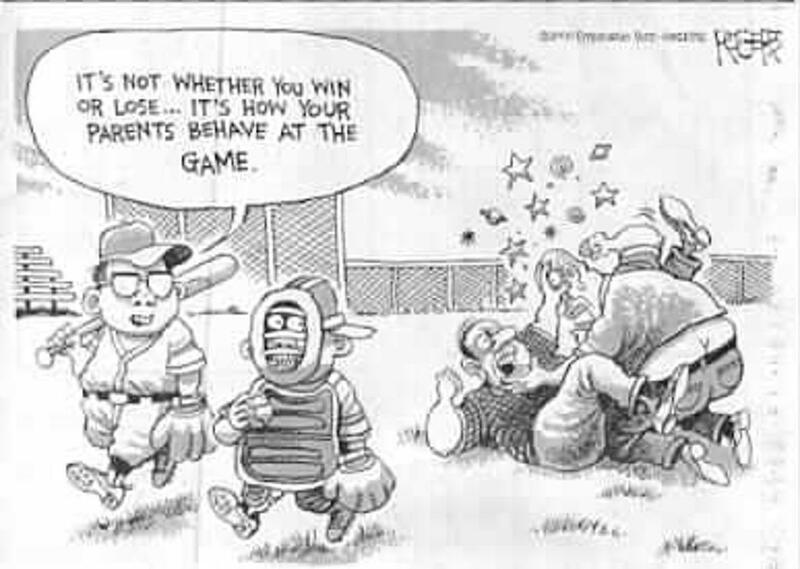 NOT ridicule or demean players, other coaches, umpires, parents, spectators or league officials. NOT tolerate behavior that endangers the health or well-being of a child. Comply with the decisions of league officials and observe all rules, policy and procedure as established or endorsed by SYB. Teach the game of baseball to the best of their ability. Be drug and alcohol free while at any SYB event. Display and instill in all players, the principals of good sportsmanship and team play. Conduct themselves in a manner that best serves the interests of the players. Make certain that their children show respect for all other players, coaches, officials and spectators. Agree not to ridicule or demean players, coaches, umpires, or league officials in any public forum. Agree to inform the coach of any disability or ailment that may affect the safety of their child. Agree to treat all players, coaches and umpires fairly and with respect. Comply with the decisions of league officials. Support the rules, regulations and bylaws as established or endorsed by the SYB. Respect the opponent and avoid any confrontation with opposing players, spectators, or coaches.